One of my major goals for the show next year - if I live through this year and we do this again - is to get the artwork for the Left Hand redux pieces. I talked with some of the guys up there this year and they seemed into the idea of exhibiting but we ran out of time. 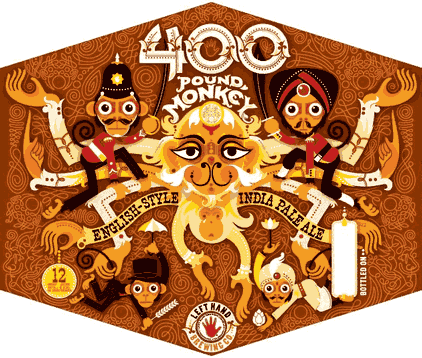 Sort of like a Wes Anderson-meets-Pixar thing, put on a beer label. One of the recurring themes you'll see in these images is the immense time devoted to texturing the background. Here, that design adds a very Birtis Empire-retro exoticism befitting the name. 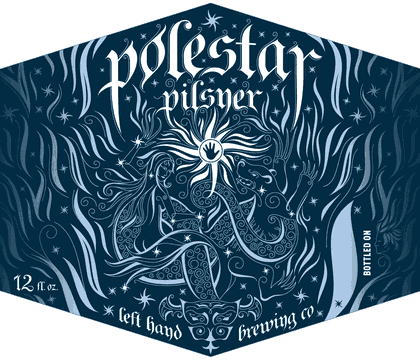 The Polestar label is almost all texturing, with those swirls forming figures inspired by Northern traditions like those of Canada and Washington. I love how this piece really takes time to look at and understand, and how there's more the longer you look. And they did all this with basically one color. 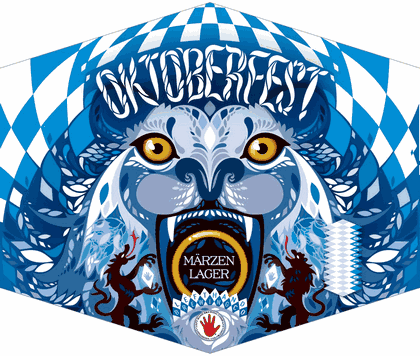 The Oktoberfest looks much less subtle, with a giant lion's mouth screaming at you (and informing you the style of the beer in question). The mouth/shield/style piece is flanked by a dragon and what might be a gryphon, both hallmarks of imperial styles from basically all of Northern Europe. The use of the checked swooping background further enforces the imperial feel to it. Check out the faces hidden in the lion's mane and you begin to see this work is more interesting than it first appears. The Sawtooth piece works by balancing warm and cool color palates, with the warm starting at the center and working out and the cool blues vice versa. 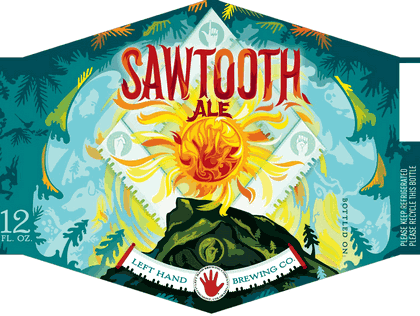 The artist cloaks the Left Hand logo in a stylized burning sun flanked by mellow-toned trees. There are sign language signs hidden at the points of the diamond around the sun, which spell out "L-E-F-T" moving clockwise from the top. A skull face formed by swirling, seemingly chaotic images that are actually Santeria/Voodoo totems and symbols. We've got lizards, snakes, crustaceans, frogs, bats, and more than a healthy dose of creepy/cool faces floating in the background. 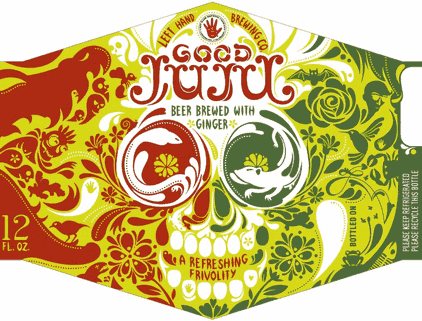 Use of the yellow both calls the ginger character of the beer to mind and keeps the red-green palate from looking Christmasy. 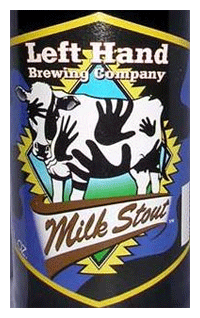 All in all, this is first-rate work from Left Hand, whose old labels were fairly straightforward branded pieces with the massive hand logo and some other predictable image. Clean, fine, nothing to right home about. Nothing like the great pieces above. Here's hoping the revamp continues at Left Hand!